Presentation folder printing is a great way to establish brand identity and organize your sales sheets. Choose from a variety of custom configurations, from pocket depth to finished size. Standard print options include a 9×12 folder in full colour with deep pockets. View a PDF template of the standard 9×12 presentation folder. Want more information on presentation folders? Upload files for presentation folder printing. A member of our sales team will be in contact with you regarding your files. 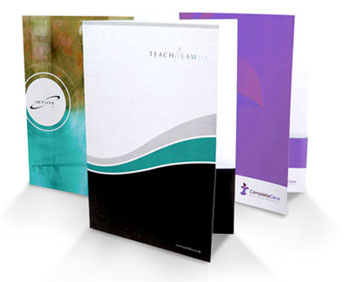 Request a quote for presentation folders. A member of our sales team will be in contact with you regarding your request. Contact us for more information about our presentation folder services.